Americans love flags. The over-sized flag, the “Star Spangled Banner”, was a strategic tool of Fort McHenry at the Battle of Baltimore and the US national anthem itself is named after the flag. If the United States ever truly intended to communicate that it believes Beijing seats the rightful government over the island of Taiwan, then Washington DC would have demanded that Taiwan fly the Chinese Communist flag over its own flag, like Hong Kong does. But, it didn’t and they didn’t ask. The test of what Donald Trump thinks about China is not a question of how many times he sees the word “China” on his globe at home, but what flags he accepts flown where. Is China wise to what’s going on? Perhaps money is making all the difference. China’s PLA Navy is headed for an increased budget. If money was China’s answer, perhaps money tipped-off Beijing in the first place. According to Obama Treasury rules, China is only 1/3 of a “currency manipulator”, exceeding a $20B trade deficit with the States. The other two rules relate inflation to GDP and official currency purchases to GDP—two things where China plays by a different set of rules than American economics. China “declares” its own currency value, it is not determined by the markets, making what the US refers to as “inflation” irrelevant to China. The second irrelevant Obama rule relates to “official” currency purchases. If only economics were only affected by “official” purchases, many other economic problems would be solved. But, economies are affected by “actual” purchasing, not merely whatever we happen to label as “official” this decade. The Chinese, especially, are experts at looking good “officially” while doing the bulk of their work under the table. Why else would Asians be so focused on cram schools and testing? Then, there is the task of calculating “GDP” in a heavy back-and-forth trade economy. In 2011, the US slapped tariffs on China-made solar panels, which were made with materials imported from the US, which China also slapped a tariff on. Not only is actual “domestic” product difficult to measure in a “Venn diagram” of overlapping markets, there is also the problem that China’s government behaves like a company itself—benefiting from tariff revenue, thereby triggering another slew of investing and purchasing opportunities. If economics were a pair of glasses, China operates in ultraviolet light that no pair of US lenses can detect. So, not only were the Obama Treasury “currency manipulator” rules an attempt to measure the light with a wind sensor, Trump gets what Trump wants. If China is destined for the “currency manipulator” list, it will get on that list one way or another, and there is a laundry list of ways that can happen. But, then, there is North Korea. While the “experts” lecture the world about how “trade wars” always backfire, China harbors its own trade war with the government in Northern Korea. Kim Jong Un isn’t happy with Beijing and Beijing wants to talk about it with the US. China was a major player in the Panama Papers scandal, including Hong Kong offices. British Prime Minister Cameron was involved. The British foreign secretary warned of threats to Hong Kong freedoms. Hong Kong’s CEO, Leung, hit back at calls for independence in the face of Hong Kong’s brand-new “National” party. China continues to crack down on corruption. Japan send a sub and two destroyers to dock in Manila in the wake of the new Japan-Philipines defense pact. The US and Taiwan are drafting stronger ties affecting visitors. As Taiwan’s rising DPP political party gains popularity, the lame duck KMT-Nationalist party plays power against the DPP to the bitter end. North Korea tested a long-range nuclear missile engine to “guarantee” a strike on the continental US. Friends and enemies are everywhere and everyone has a motive for everything. Ri Yong-gil was said to be executed in Korea. He wasn’t seen in his usual place in public with Great Successor Un. This just after the satellite launch, which led to more sanctions approved by the Senate. Hong Kong cracked down on some unlicensed food vendors in the streets of Mong Kok. People responded by throwing and burning things. Their view is clear, as is the view of Hong Kong’s government. China remarked about “terrorist tendencies”. Hong Kong’s finance minister, Tsang (曾俊華), implied the Biblical story of Solomon’s judgment of two women in writing, “A mother who truly loves her son would not saw him in half and would never themselves be the executioner.” It is good to see that China did not rebuke a government leader for studying the Bible. China is losing money. It also lost a bank. But, so what. China is oblivious to its own past with which it haunts itself. HSBC has reviewed Hong Kong again, for a possible location. HQ-ing in HK could save $14B. But, again, no. Tienanmen scared them too much. Even after 25 years, old fears don’t die easily, especially when they don’t have a reason to. It’s somewhat ironic, though. Asia is responsible for much of HSBC’s revenue. Or, maybe it’s not ironic since that “is” seems to be changing into more of a “was”. Asia “was” responsible for much of HSBC’s revenue. It seems that the West has profited and, now, has picked up, packed up, and isn’t coming back. And, what should that tell us? Age of provocation. China warned everyone, this week. Soros had better not declare war on Chinese currency—or else. Taiwan had better not do a lot of things. The US had better not do a lot of things. Basically, the world “had better not”. 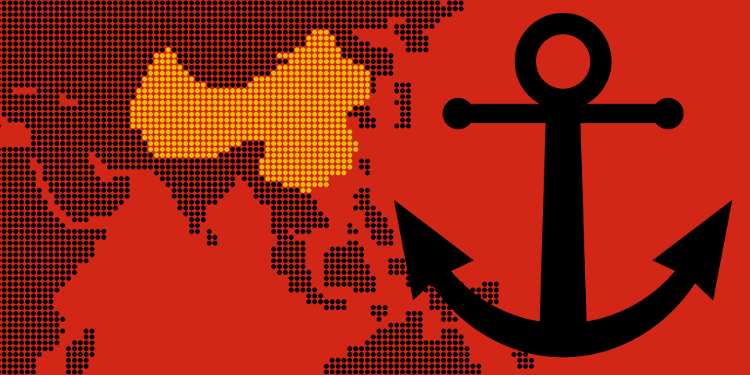 The Pacific conflict is reaching the point where China expects a Wold v China scenario. Whatever China is doing to make enemies is so powerful that not even Obama can stay low key—whether he wants to or not. Beijing’s “magnetic” personality is drawing all guns to point east. Taiwan is beginning its political transition, not without its own rumors. The DPP opposition took the legislature today. The new president won’t be sworn in for a few months. But with the vast majority already in power in the legislature and local governments, the lame duck, Ma, is strung up by his webbing. All anyone can do about Taiwan is quack; the president, president-elect, and even Beijing.